HOFA COMPLETE covers the fundamentals with HOFA BASIC, provides further education with HOFA PRO and imparts expert knowledge about the most important areas of music production in three short courses. Register now and benefit from the reduced price, double the course duration and 3 HOFA plugins! How does HOFA-College fit in? From recording to mixing, from producing to mastering – COMPLETE teaches you everything you need to know for professional productions in consecutive courses. If you want to, you can individually adjust the duration of your correspondence course. HOFA BASIC gives you a solid foundation in audio engineering and prepares you for further HOFA-College courses with many practical exercises. With this course you will be able to realise your musical ideas – or those of your studio customers – at the highest level. The HOFA Online Campus gives you access to all your learning content at any time. You will be provided with new learning units every month. Multimedia-based learning: The course contains video tutorials, texts, sound examples, complete studio productions & practical exercises. Can be completed with all current DAWs such as Pro Tools, Logic, Cubase, Ableton Live, Studio One etc. Comes with Cubase LE & Wavelab LE.  Professional knowledge from all areas of audio engineering & music production. Improve your productions in no time with the help of exciting video tutorials. Throughout the course, a team of professional audio engineers will be at your side to provide advice and assistance – by email, chat & phone. Each learning unit contains productions or practical exercises that you can work on and submit. The costs of education might be tax-deductable (depending on your location). Audio Assistant, Audio Engineer, Mastering, Electronic Music Production and Vocals. Each learning unit contains the individual tracks of studio productions that you can mix at home. 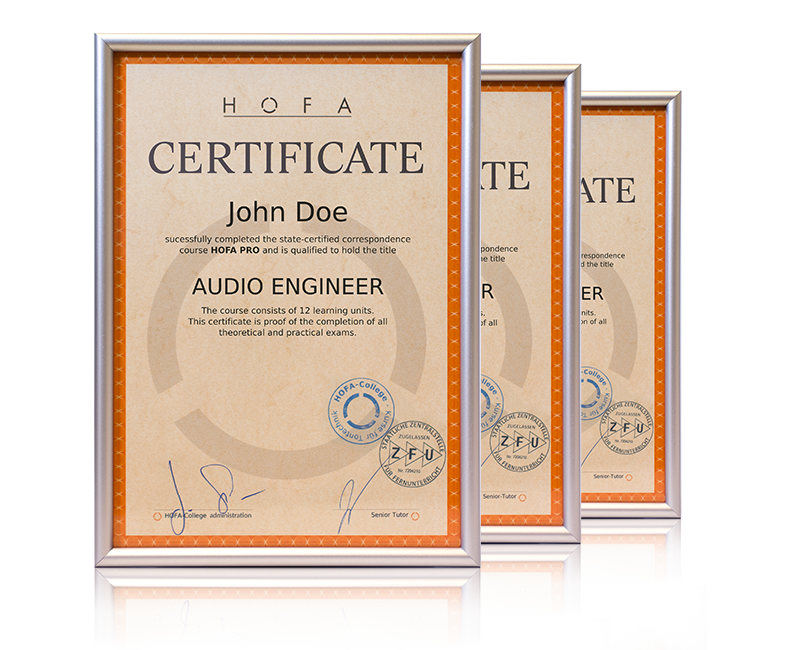 Your practice mixes will then be analysed by experienced audio engineers in the HOFA studios. We provide detailed and individual analyses of your mixes and give you valuable feedback on the strengths and weaknesses of your work with specific examples and screenshots. Where do the practice mixes come from? In the course we use productions covering various genres recorded at the HOFA-Studios and other top facilities, as well as home recordings. You are provided with a wide range of tracks, recordings and styles to choose from - including titles from well-known and successful artists. You can register at any time and start immediately or at a later date. You will receive one learning unit per month. However, you also have the option to get several units per month and thus earn your certificate faster. If you wish, you can extend or pause your course. With the one-time payment, you receive all available learning units at once and can adjust your course duration depending on your individual needs. All HOFA correspondence courses are evaluated and certified by the German State Central Office for Distance Learning "ZFU". This certifies meaningful didactics, an educationally meaningful course structure and fair contractual conditions. Due to the state certification, all training costs might be tax-deductable (depending on your location). After your registration you have two weeks to test the course. If the quality does not convince you, contact us and we will cancel your correspondence course. You can use your confirmation of participation to buy hardware and software from various manufacturers such as Ableton, Adam Audio, Adobe, Avid, Softube, Steinberg, Waves, HOFA-Plugins, HOFA-Akustik, etc. Almost all DAWs and plugins can be purchased with up to 50% educational discount. For your correspondence course you'll need a computer with audio software, a pair of speakers/headphones and of course a fondness for music. For the BASIC course, we provide you with a license for Steinberg Cubase LE & Wavelab LE. No additional software is required for this course. A smartphone or tablet is not necessary, but makes learning more flexible. Just contact us if you have any questions. Ableton Live | Apple Logic | Avid Pro Tools | Cockos Reaper | Image Line FL Studio | Magix Samplitude | PreSonus Studio One | Propellerhead Reason | Steinberg Cubase | or similar. Monthly PaymentYou receive one learning unit per month. You can choose the plugins after your course registration. You save $465.60 during the introductory period. One-time Payment - 10% OffYou receive all course material immediately. You save $645.60 during the introductory period. The second half of the PRO course and the Short Courses will be released on the Online Campus later in 2019. Do you have any questions about the audio engineering courses from HOFA?